All too often, the answer has breadcrumbs back to ego. The drivers may be disguised in other terms such as recognition, status, power, money, or competitiveness. But it ultimately comes back to ego. Bob recalls an executive who worked with Washington politicians. The executive described the mentality he observed all too often as, not just wanting to defeat an opponent, but to destroy him, burn the body, and then salt the earth over the ashes so the opponent could never rise again. Frightening. Looking at this, psychologists might find some underlying insecurity or inferiority complex, driving some people to extremes. Often, they resort to cutting ethical corners, believing such actions are necessary to get ahead. The ability of the human mind to rationalize its behavior is virtually infinite, knowing no bounds in justifying its actions, especially when under pressure and when people think they can get away with it. Leaders get to positions of authority after years of striving and are sometimes surrounded by people who wish to gain favor, so the leader hears how wonderful he or she is. The ego is seductive, the kiss of death to true leadership. the kiss of death to true leadership. Of course, leaders need courage and confidence. Leaders often venture into the unknown where the fog of uncertainty and fears of humiliating failure conjure demons in one’s mind. True leaders unleash other leaders throughout the organization. They learn to bite their own tongues, letting others lead to gain experience and realize their talent. Such leadership is a monumental exercise in personal discipline and self-control. You need to get over yourself. 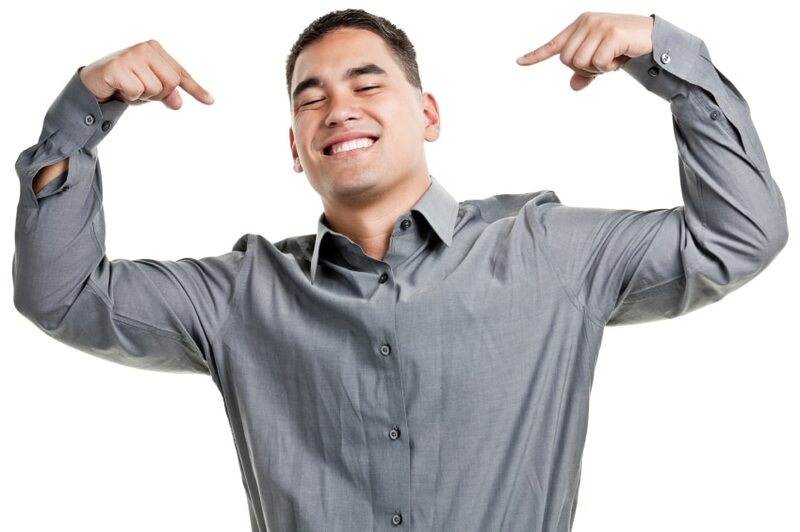 As Robert Greenleaf said decades ago, “leaders serve.” They serve others, not their own ego. For too many leaders, their ego is their worst enemy. 1. Why do you want to lead? 2. Are you serving others or your own ego? 3. Do you have a small group of trusted people who will give you honest feedback when your ego is getting out of control? 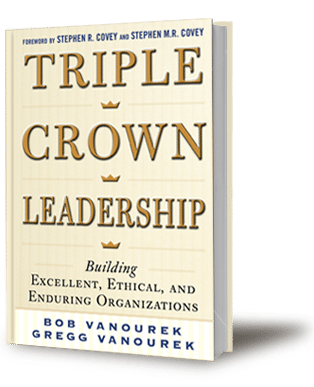 Bob and Gregg Vanourek are authors of Triple Crown Leadership: Building Excellent, Ethical, and Enduring Organizations, based on interviews with leaders in 61 organizations in 11 countries.